The IPAN IP Topic Briefs provide an impartial primer to help basic understanding of important IP related issues and controversies and include external references for further reading or research. The Briefs have been written by experts from the IPAN community and are intended to inform rather than influence particular views or arguments – IPAN is not a lobbying organisation and does not represent any particular sector or viewpoint. The views expressed are personal to the authors and are not necessarily shared by all members of IPAN. Choose one of the Topic Briefs below or access the complete set here. Intellectual Property (IP) rights are legal rights that are available to inventors, authors, artists, designers and others wishing to protect the thought and effort that has gone into their work. The UK has taken a leading position in the world in many sectors that depend heavily upon IP, including pharmaceuticals, information technology, engineering,biotechnology, publishing and the music industry (the “knowledge-based” economy). The idea behind IP is that by rewarding intellectual endeavour with statutory protection against copying, society will benefit overall by encouraging new ideas, technical development and creativity. If a trade mark owner puts or consents to its goods being put on the market within the EEA (European Economic Area) then those goods can circulate freely in the EEA. On the other hand, if the goods are put on the market outside the EEA, then they can only be imported into the EEA if the trade mark owner has consented to such import. There may be situations where the trade mark owner has not consented, for example where the specification of the goods varies from market to market or here wholesale prices differ. In cases where there is no consent, the trade mark owner should be able to stop the parallel import of these goods. Can copyright survive the threat of the internet? The Internet provides marvellous opportunities for consumers, creators and producers as well as driving economic growth. It enables music, television, film and computer software to be copied, communicated and downloaded anywhere in the world at a click of a mouse. Some would argue that such copies made available should be “free”. But most would accept that the flow of creative products will be greater if producers, individuals or companies are able to achieve a market reward through proper control of unauthorised copying. Also, finance can be sought to fund product development if a tangible legal right exists. Copyright remains a very effective legal mechanism for managing this system fairly. Across the world, national economies, industries and consumers are all being threatened by the continuous growth of intellectual property crime (IP crime), or as it is more commonly known – counterfeiting and piracy. is larger than the national GDPs of 150 economies. Since then counterfeiting across the world has been on the increase and in 2012 the International Chamber of Commerce (ICC) updated the OECD findings, forecasting increases in counterfeiting to $770–$960 billion in 2015, in G20 countries alone. The effect of this would result in employment losses of 2.5 million, which will have a devastating impact on G20 economies, businesses and society in general. For the last 40 years attempts have been made to construct a truly European Patent System, which would provide so-called “unitary” protection throughout the EU. During this time, unitary systems have been established for both Trade Marks and Designs, both operated via the European Union Intellectual Property Office, located in Alicante, Spain, which is an EU institution. institution, so the European Commission does not govern its operation. The patents which the EPO grants are not unitary and are dealt with, after grant, in the same way as patents obtained via the individual National Patent Offices, all of which continue to exist. Poverty remains the single biggest barrier to improving healthcare in the developing world. In many countries people do not have enough food, access to a clean water supply, hospitals or clinics in which to receive treatment, and healthcare professionals to care for them. (EPO) and the UK Intellectual Property Office (IPO) have established positions that when an invention has the necessary technical character it is patentable even if it involves a computer program in its implementation. Under Art 52(2) of the European Patent Convention and the equivalent s. 1(2) of the UK Patents Act, programs for computers are not regarded as inventions if claimed “as such” in a patent application. However, at the EPO, this exclusion is not as restrictive as it first appears because a computer program is not excluded from patentability if, when running on a computer, it causes a further technical effect going beyond the “normal” physical interaction between the program (software) and the computer (hardware). interpreting Article 52(2) of the European Patent Convention. Intellectual property law is largely a creature of the industrial West. Patents and trade secrets can protect new inventions; trade marks protect the reputations of traders and their goods; copyright protects the creative output of authors, artists and musicians (and their publishers). But not all valuable intellectual creations can be protected. One class of creation, which is (in general) not capable of such protection is the indigenous knowledge of traditional societies, frequently referred to as “traditional knowledge” (“TK”). the world as a whole. Many drugs are based on TK – starting with aspirin (originally a derivative of the willow tree): and more recently the new antimalarial, artemisin, is based on a chemical derived from a traditional Chinese medicinal herb. Despite the FTSE 350 running a combined pension deficit of about £80bn companies are concerned about committing cash contributions to their pension funds, even if they can afford to do it. The credit crunch and recession has led to cash and credit restrictions for a large number of companies. Companies are reviewing balance sheets and trying to utilise assets for pension funding purposes that are undervalued or missing. Accounting is biased against intellectual property on corporate balance sheets. 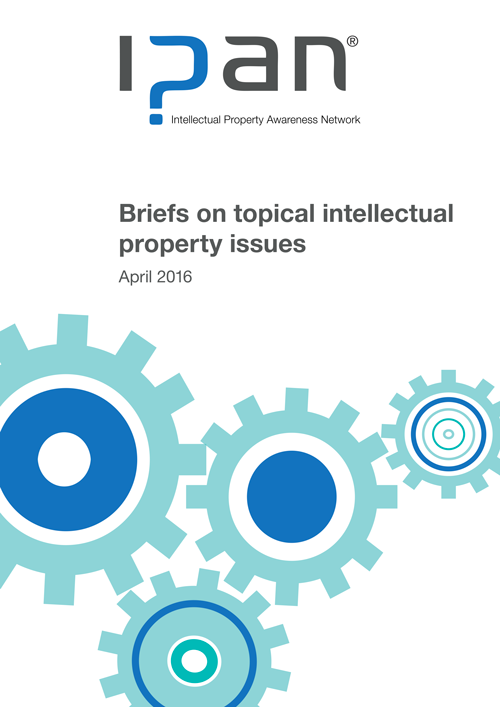 As intellectual property is increasingly acknowledged as the dominant asset of most companies, it also becomes the primary collateral. Historically IP has rarely been used to maximum effect. IP is property just like any other asset but with more advantages, for example tax benefits following effective structuring. Commercial strategies with intellectual property have been commonplace in the area of off-shoring and IP management holding company structures. UK Design punches well above its weight. In 2013, the design economy generated £71.7bn in gross value added (GVA), equivalent to 7.2% of total GVA (Design Council, Design Economy report 2015). In the period 2009-2013, GVA increased by 27.9%, compared to 18.1% across the UK economy as a whole. Approximately 580,000 people are directly employed in the UK’s design industries and a further one million designers work across the economy in non-design industries. This makes the design economy equivalent to the ninth biggest employer in the UK. Design is incredibly important to the UK, for every £1 invested in design business can expect over £4 in net operating profit and the export of product, graphic and fashion design services increased by 76% since 2009.The UK has worldwide acclaim for its design and innovation excellence and British designers lead in socially responsible and environmentally sustainable innovation. Internationally, the UK Design sector retained its 6th place in world rankings from 2010-2015. As well as some notable household names, Britain’s design sector comprises mainly micro-enterprises or SMEs with fewer than 4 employees, many, highly innovative and world renowned. There are many definitions of ‘brand’. Generally today a brand is understood to be a reputational asset which has been developed over time so as to embrace a set of values and attributes, resulting in a powerfully held set of beliefs by the consumer. In essence, brands rest in the minds of individuals and their strength and influence lies in inspiring the collective buying behaviour of those individuals. A product, service or company may become a strong brand if it is relevant and meaningful to its audience, both rationally and emotionally, as well as distinct from other competitors. Brands depend on intellectual property rights (trade marks, designs and copyright in particular) to stand out from the crowd. Some rely on patents to underpin their superior performance. Consumers love brands, whether it is their favourite Kellogg’s cereal, Green & Black chocolate, Apple tablet or Nike trainers. Companies invest significantly to ensure their products lead in terms of both quality and performance, and they back that superior performance with guarantees. areas of ongoing concern both at home and abroad. The Digital Single Market (DSM) and Single Market (SM) are significant strands of the European Commission’s policy agenda – there are proposals that could have a significant impact on IP creators, owners, distributors and all parts of the value chain. 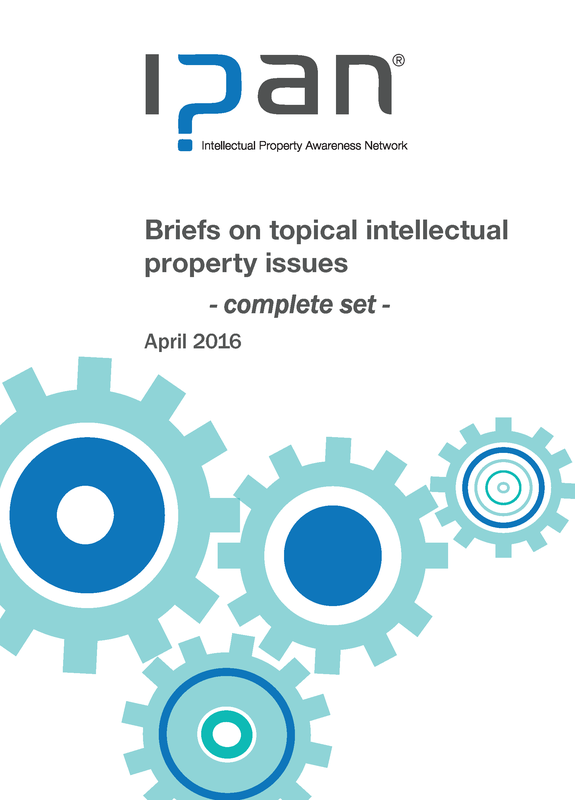 For some, the current IP framework is too restrictive and limiting innovation and growth. There are calls from parts of the tech sector for loosening of legislation that is seen as the barrier to allowing small start up businesses to access the market. For them, the current framework is seen as propping up out-dated businesses models, with an over-emphasis on protecting and enforcing IP rights. requiring many years of upfront investment in research and development. Improved crop varieties provide the essential foundation for the UK’s £103bn food production chain. The economic benefits of plant breeding range from increased productivity at the farm level through to import substitution, export earnings and enhanced processing quality within the food and drink manufacturing sector. A study by DTZ’s life sciences group found that the annual contribution of plant breeding in three key crops (wheat, barley and forage maize) exceeds £1 billion in additional value within the UK farming and food supply chain – equivalent to a 40-fold return on the annual royalty income on those three crops. Crop genetic improvement is increasingly recognised as a key factor in delivering the sustainable increases in agricultural productivity needed to address global challenges of food security and climate change. Plant breeding also makes positive contributions to health and nutrition, sustainable use of resources, environmental protection and enhancement and the quality of life. Commercial plant breeding provides the only route to market for such genetic improvement. If you are innovative, inventive or creative in your work, you create intellectual property rights and will want to learn more, or facilitate others’ learning, about those rights. 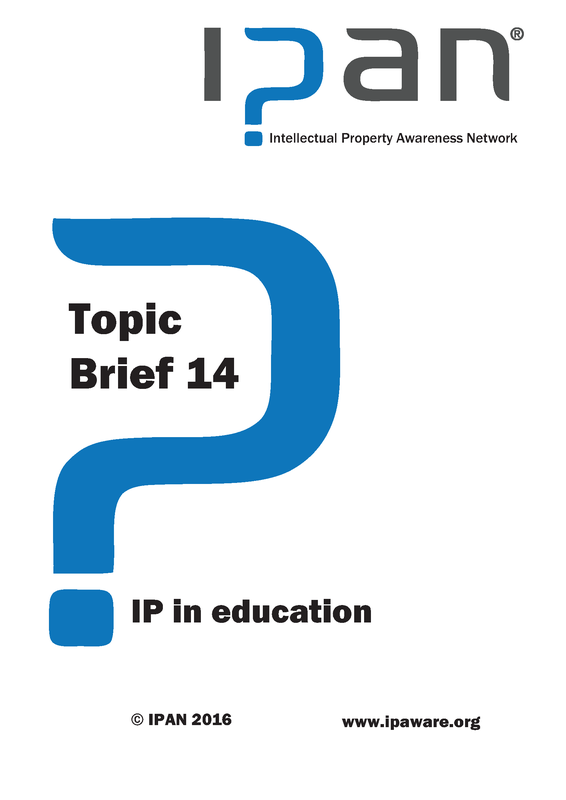 Education about IP rights helps you understand how to protect what’s yours, exploit your own rights commercially, and use someone else’s IP rights without creating a problem. More than other IP rights, copyright is relevant to all teachers, academics and students alike. Teachers need to understand the copyright restrictions on schoolroom resources. Copying, when it is plagiarism, is a threat to academic success. Ignorance of copyright restrictions in respect of music, film and social media can lead to serious problems. 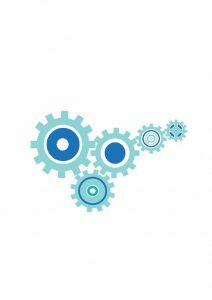 Patents and the environment – help or hindrance? Some activists argue that patents frustrate important social goals like protecting the environment and public health. Others, including many academics, business leaders, engineers and politicians, maintain that a strong patent system is part of the solution to a more sustainable environment – not part of the problem. atmosphere are the result of industrial and technological development, much of which has been incentivised and is protected by patent laws. This leads to the argument that the patent system should now play a role in protecting the environment. There is a widespread view that strong patent protection stimulates innovation, encouraging companies to invest in research without fear of being stung by rivals. To make it easier to share information, some companies get together to form ‘patent pools’, allowing them to cross-license their technologies without losing out on royalties. Copyright protects the original expression of ideas, but not the ideas themselves. It exists automatically in original creative or artistic works, and gives the owner the right to stop unauthorised copying. Digital technology used for recording of most contemporary artistic works has (often) eased the task of creating the original content (save for the idea itself), eased the process of distributing the content and ensured the customer gets faithful reproduction of the content. But it has also meant that for little (capital, process, media and distribution – internet) cost the customer has the means to make perfect copies of the content which they can distribute to others without reward going to the creator or legitimate publisher/distributor. The advent of relatively of low cost 3D printers and free to download Internet tools to create replication data files from space models has led to the potential to copy many products regardless of the original owner’s rights, albeit possibly not to the same level of sophistication or quality. original in order to increase sales and/or prices but without infringing the brand owner’s IP rights. They differ from counterfeits in not copying the brand owner’s trade marks. adapting market based mechanisms along with risk-return based methodologies for IP and other intangibles, will it be possible to offer IP-rich businesses the financial support they need to expand their businesses and thereby improve economic growth. growth in intangible assets and intellectual property. For quoted companies up to 80% of the value attributed to them by the stock market is not underpinned by tangible assets and is based around intangible assets. Plain – or “standardised” – packaging involves the packaging of tobacco products in a standard format so that all products look essentially the same, bar the product name which must be in a font of standard type, colour and size located in a set place on the pack. Such packaging has been required for all tobacco products on the Australian market since 1st December 2012 when all packs had to be the same size and shape and coloured in the same drab green. Similar measures have been considered by the European Commission via the EU Tobacco Products Directive and Member States have the option to introduce it, though not a requirement. French, Irish and UK Governments require cigarette packaging to be standardised from May 2016 and it will be illegal to sell non-standardised packs from May 2017. The policy premise is that, by standardising pack designs, young people will be discouraged from taking up smoking, existing smokers will be encouraged to quit and lapsed smokers will be discouraged from starting again. Society for Testing and Materials adopted the term ‘additive manufacturing’ (AM), which in recent years has been referred to as 3D printing – a term which is widely used by the media and general public. The process is particularly powerful as it can produce products of almost any shape or level of intricacy, and is not restrained by the limitations of other more traditional manufacturing techniques. A further point about 3D printing is that its function depends on it being ‘fed’ a welldesigned electronic design file, which, for example, could be a Computer-Aided Design (CAD) file, that tells it where to place the raw material. In fact, ‘a 3D printer without an attached computer and a good design file is as useless as an iPod without music’. Therefore, the importance of a good object design file or CAD file cannot be underestimated in the 3D printing sphere. The file can be created automatically by 3D scanning. Given a good input, a 3D printer can manufacture an unlimited number of copies of the product.